The warmer weather and impending Major Life Change have given me a little spring fever, so Dorothy and I have been hitting the thrift store circuit these last few days. I’ve gotten a few cute new shirts that I hope to be able to wear post-partum–nice roomy, soft ones that should be easy to nurse in and were cheap enough that I (in theory) won’t care about all the spit-up. These two I made into projects today, and altered them a bit to personalize them. The pattern on the front of the blue is Dover clip art from their free samples mail list, which I’ve printed on printable fabric, fused, and sewn on. 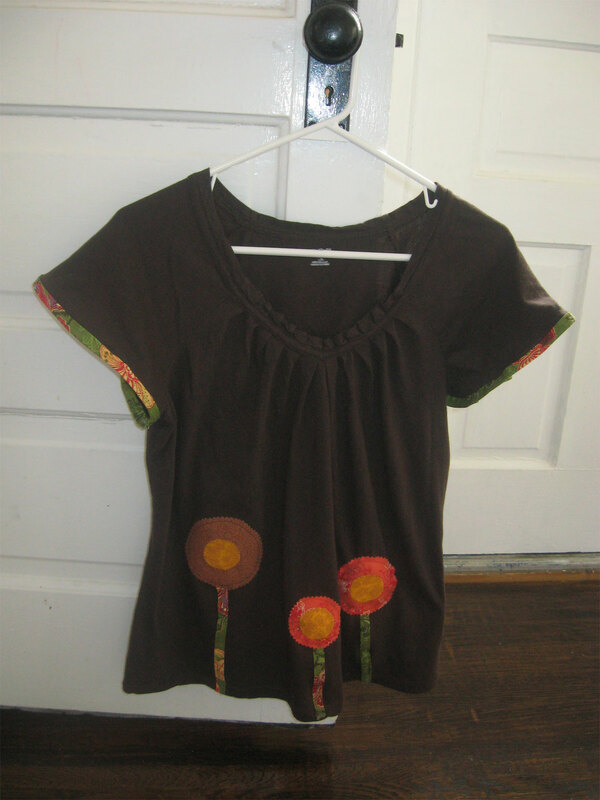 The brown I just free-formed some simple flowers out of pretty fabric scraps and added homemade bias tape to the arms. I’m not sure if I like the tape on the arms or not–it makes them a little stiff, like wings or something. 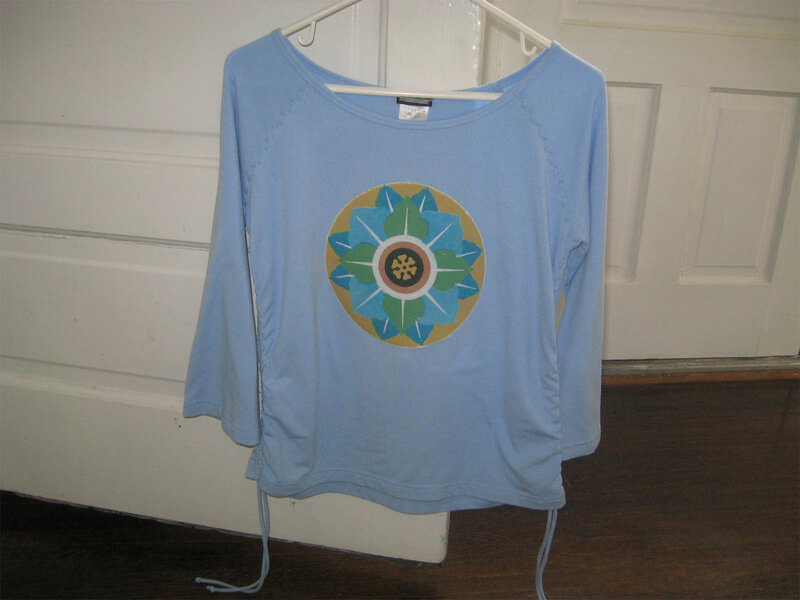 I think I’ll launder it and then see how they look, and I may snip off the sleeve embellishment.